Hello Bill,We were part of a group that went on a self-guided hiking trip that you organized on the Haute Route in July. 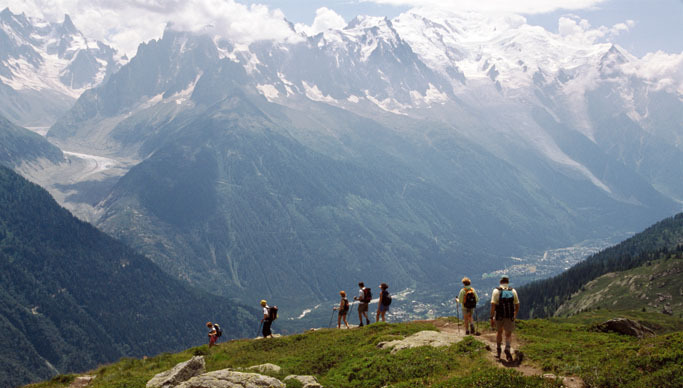 Hiker’s descend to the Chamonix Valley on the famous Grand Balcon Sud Hiking Trail. This is the second-to-last day on the Tour du Mont Blan with. We are looking to go on another trip next summer and wanted to see if you ever organize trips for the Tour of Monte Rosa or have any thoughts on it.